Online Poker New York is your information headquarters for everything regarding online poker legalization in New York. Our staff includes veteran poker reporters and legal experts who have covered both the live and online poker industry for nearly a decade. Our goal is to bring you the most comprehensive coverage of all legal matters leading up to the eventual launch of online poker in New York. The first attempt to legalize online poker in New York came in 2013 when the senate introduced a measure in the state budget to legalize the game. The assembly was not ready to move forward and the measure was later removed. In 2014, two bills were introduced in the state legislature. Senate bill S6913 and Assembly bill A09509 both outlined what players and operators could expect from a legal NY online poker marketplace. The legislative session ended before either bill could come to a vote. State lawmakers have promised a new bill will be introduced sometime in 2015 and hearings will likely be held on the matter. 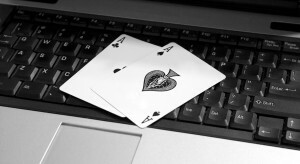 At present, only three states (New Jersey, Nevada and Delaware) have legalized online poker. New York is hoping to position themselves to become the fourth state to bring online poker to its residents. Our goal is to bring you in-dept and comprehensive coverage of the legal proceedings leading up to the eventual passage of an online poker bill in New York. Keeping that in mind, we will also follow any national bills that could impact online poker. In addition, we will also keep you updated on any significant developments in the live casino industry in New York. The state is currently in the midst of casino expansion and this expansion could help open the door to eventual online poker legislation.